Recently a worker received an electric shock while unplugging a computer to move it to another work station. The worker touched the live pins of the plug top as they removed the cord from the power socket on a power board. Although the worker was not seriously injured, the potential for serious injury is high and this risk must be eliminated or reduced to an acceptable level. In 2005 it was made law in Tasmania that all new electrical cord sets must have insulated pins on their plugs tops. WorkSafe’s investigation into this incident found that as the workplace replaced its computers and associated electrical equipment over the years, it did not replace the power cords — so there were still older-style cords with un-insulated pins in use. 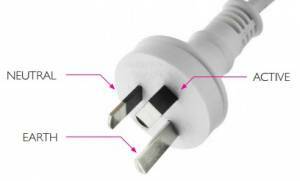 WorkSafe recommends you check all cord sets in your workplace to ensure insulated pins on the plug tops are being used. Turn off the power supply before unplugging the cord set — failure to do so may result in you getting an electric shock. If it’s impractical or you’re unable to isolate the power supply, then you must seek the help of a suitably qualified person to check your cord set for you. If you’re unsure what to do, speak with your supervisor. New cord sets for your computer equipment are available from your information technology (IT) support unit or from office supply shops. • Managing the risk of falls at workplaces. To find them, go to www.worksafe.tas.gov.au and search for ‘codes 2016’.